Are you looking for ways to get more exposure for your small business online? If so, you have come to the right place. 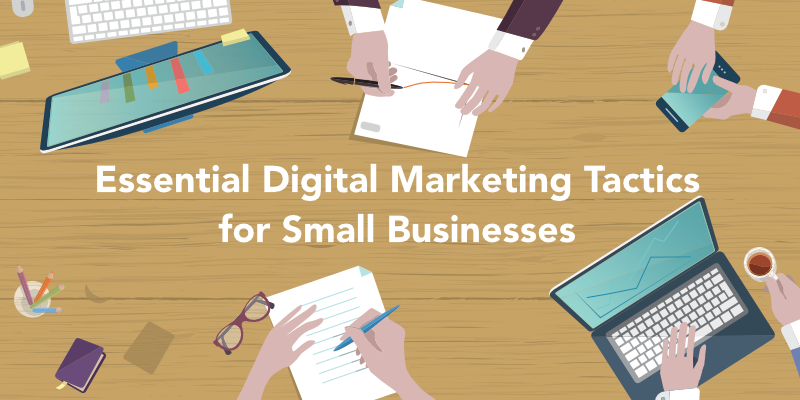 Depending on your type of business, you will find plenty of ways to get more traffic, leads, and sales in this essential list of digital marketing ideas for small businesses. We’ve broken it down into specific categories so you can work on the particular areas of your digital marketing strategy you feel could benefit you the most now, and work your way into other areas for future benefits. No matter how many marketing tactics you put into play, you will never know which ones are most useful without analytics. Hence, your starting point for any marketing strategy will be to do the following. 1. Install Google Analytics on your website. Google Analytics is a free web analytics tool you can use to learn more about the visitors that come to your website, how they got to your website, what they do when they get there, and what makes them leave. This information is vital to determining which marketing tactics are working best for your small business. For example, finding out where your visitors are coming from will let you know whether you are getting traffic from specific social networks, local directories, blog posts, advertising sources, and much more. 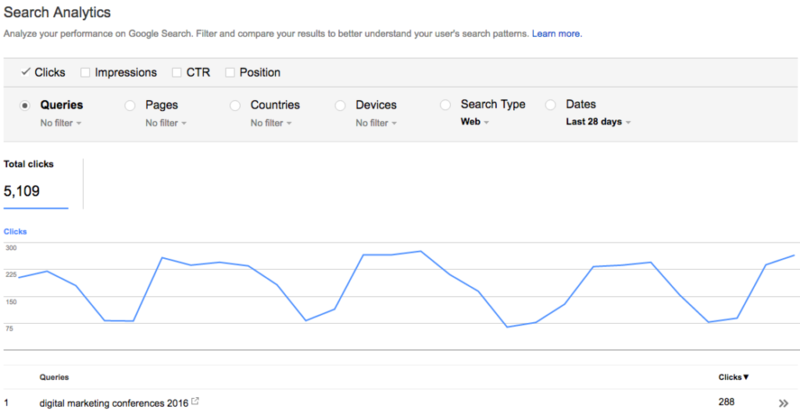 Finding out what your top pages are will let you know what content your visitors like the most. Finding out what pages have the highest bounce rate will let you know that you need to improve those pages to ensure that visitors stay on your website longer to complete specific goals, like completing a lead form or making a purchase. Speaking of goals, you can’t just install the Google Analytics code on your website and be done with it. You also need to set up Google Analytics goals to determine the marketing tactic that gets the best results for your business. Installing the code will tell you where you get traffic from. Setting up Google Analytics goals will tell you which marketing tactic converts into business. For example, if your website captures leads for your business, you can set up a Google Analytics goal that is triggered when visitors land on the thank you page after they submit the lead form. If they came to your website from Facebook, it would tell Google Analytics that Facebook was the source of traffic that resulted in a lead goal completion. After a while, you will be able to see that certain social networks and other traffic sources generate more qualified traffic to your website, or traffic most likely to complete a conversion goal. 2. Setup Google Search Console (Webmaster Tools). If search engine optimization (or having your website perform well in Google search results) means anything to you, then setting up Google Search Console for your website should be your next step. It’s another free tool from Google, but instead of focusing on web analytics, it focuses on your website’s health in Google search. You won’t even need to install new code on your website to get it going – it will verify your website using your Google Analytics code. From there, you will have access to a range of free tools from Google that will help you with basic search engine optimization. It will show you your latest backlinks, it will give you suggestions on how to fix basic on-site SEO issues, it will tell you if your website has any errors, it will let you know if your website has been hacked, and much more. It’s a very valuable tool for any website owner, and especially one that wants their website to do well in search. If you’re unable to do this yourself, you can always ask your web development company to help out. Not many people talk about conversion optimization early in digital marketing basics, but it’s essential to think of every digital marketing tactic as conversion-focused. If you do that, you’ll win in digital marketing. This doesn’t necessarily mean that everything you do in digital marketing is going to equal a lead or a sale, because it won’t. But if you think about the end game being a conversion, the choices in your digital marketing plan will be easier to make. Let’s look at the areas of digital marketing that we’re about to talk about and how conversion optimization will play a role in each. 3. 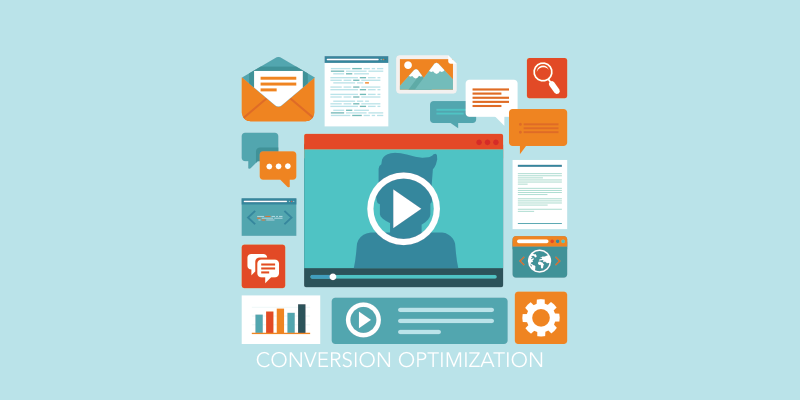 How to optimize your content marketing for conversions. One of the biggest questions small businesses have when coming up with a content strategy is what their content should be about. But if you are thinking in terms of conversions, it becomes an easier question to answer. The content should be about topics that the business’s ideal customer would be interested in that would naturally lead that ideal customer to want to learn more about the business’s products or services. If you’re a relationship counselor, you write about relationship issues. 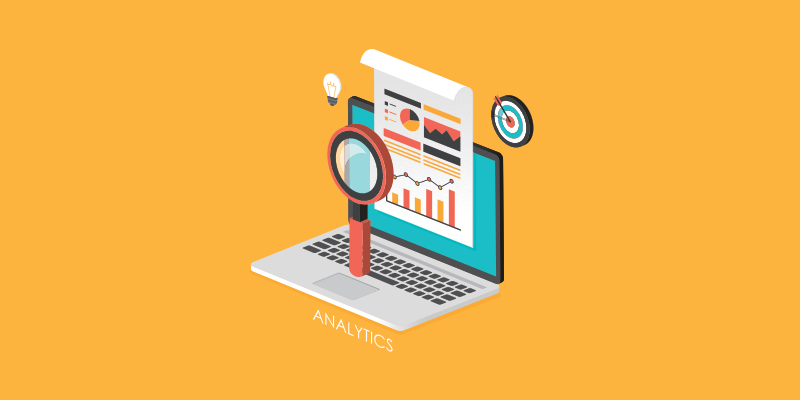 If you’re an analytics provider, you write about ways analytics can help a business. If you’re a fashion consultant, you write about the latest fashion trends. You don’t necessarily give up all of your secrets – you just demonstrate that you know what you are talking about and are the best business to help your customer with their needs in your industry with your products or services. When it comes to sales page content, conversion optimization is more focused on testing. Test your headlines to see if headline A on a sales page converts better than headline B. Test your sub headlines. Test your calls to action. Test whether people want a sales page with a video or with text. Test whether people want a sales page with photos of people or of the product. Test, test, and keep testing. 4. How to optimize your email marketing for conversions. Optimizing your email marketing for conversions starts with how you build your email list. Some people want to build the largest email list possible. And that’s great if you can do it with your ideal customer base. In the content marketing section, we’ll discuss lead magnets and how creating them will allow you to grow your email list. You might see other businesses doing this through the use of contests, such as enter to win a free iPad. While those businesses are going to get a ton of new subscribers, unless they offer iPad-related products or services, they are building an email list that likely isn’t going to buy from them down the road. Your goal is to build an email list that is full of people who are your ideal customers. People who are more likely to buy your products or services than others. It’s better to have an email list with 1,000 people who are interested in your products and services than 10,000 people who are not. Why? Because you will ultimately be paying your email marketing service a lot more for an email list that isn’t interested in what you have to offer. In addition to optimizing how you build your list for conversions, you have to optimize your messaging for conversions as well. Most email marketing services give you the option to test your email subject line. This is a crucial piece of your email marketing as it is the deciding factor on whether your email gets opened or not. And if your emails aren’t getting opened, they aren’t going to help you convert your subscribers into customers. Some will also allow you to test additional elements like the name your email comes from, the design of your email, and the content within your email. But the subject line is the most important. Get that part right and you’ll definitely start seeing great results from your emails. 5. How to optimize your local marketing for conversions. If you have a local business, you might be tempted to get it listed on every local business directory and review network out there. And while that might seem like a great idea at first, chances are you will either spend a lot of time or a lot of money on a wasted effort as some of those sites garner little to no traffic for businesses in specific industries. Instead, take the conversion-focused approach. Figure out which local business directories and review networks are most important for your industry. For example, search for your business’s target keyword phrase, like Chicago windshield repair or just windshield repair. Off the bat, in the first page of search results, you’ll find Yelp, Angie’s List, and Yellow Pages. There are three local business directories and review networks your business needs to be listed in. From there, you can look up your top competitors to see which networks they have the most ratings on. That will also tell you where your customers are going to find and rate businesses like yours. If, after that, you feel you must be listed everywhere else, then you can go for it. But focus on what counts first, then circle back to the rest later. 6. How to optimize your SEO for conversions. Search engine optimization happens on your website and off of it. There are both good ways to do SEO and bad ways to do SEO. If you have a conversion-focused approach to SEO, you will likely always do it the good way. We’ll go more into detail about the basics of SEO later, but for now, take link building. That is one of the essential parts of off-site SEO. Links tell search engines that your website is important and, thus, helps your website improve in rankings for your target keyword phrases. If you do it right, that is. There are lots of people who sell “inexpensive” link building services that can get you hundreds of links for little cost. But the links will be bad and ultimately could lead you to punishment from Google. The conversion-focused approach to link building, however, would guide you towards seeking out links that would not only help your website in search but also help drive traffic to your website due to their relevancy. We’ll discuss that more in detail in the search engine optimization section. 7. How to optimize your social media marketing for conversions. Last, but not least, is social media marketing, optimized for conversions. When you’re thinking about conversions while planning out your social media activities, it will help you narrow down a lot of the things that can overwhelm you in the world of social media. For example, which networks you should be most active on will be based on where your ideal customers are. Which groups you join will be based on where your ideal customers are most engaged. Which features you use on social networks will be based on your ideal customer’s response. When you get down to testing, you can look at things like what types of posts work best on specific platforms. For example, is video working better on Facebook than links? Is a specific hashtag drawing more followers on Instagram? Do tweets with images get more clicks? There are no specific social media testing tools at this time, so you will simply have to refer to your social media analytics to learn what works best. Now, it’s time to look at SEO. 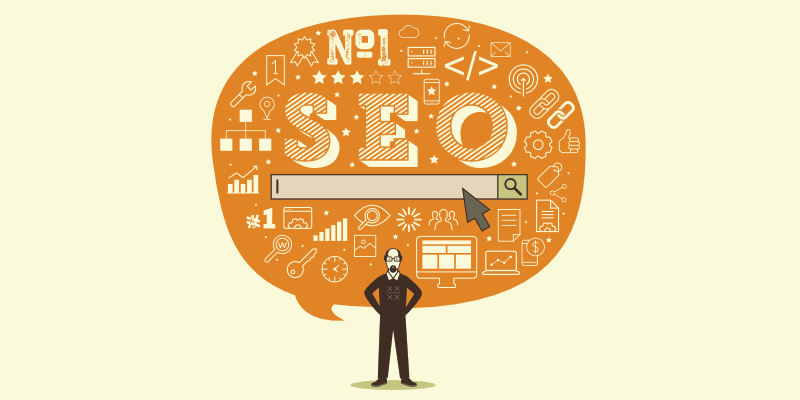 Specific aspects of your SEO strategy will play a key role in the rest of your digital marketing tactics. Specifically these. 8. Know the keyword phrases you want to target. What words are your customers using to find you on the internet in search engines? These are the keyword phrases you will want to use to optimize your online presence for. Notice I didn’t just say your website, but specifically, your online presence. Everything you put out there should include that keyword phrase. If your business sells web analytics software, then you will want to go to the Google AdWords Keyword Planner tool to make sure that is a good keyword phrase to target. What you will find in this case is the following. Web analytics software gets 390 estimated monthly searches. Web analytics gets 6,600 estimated monthly searches. Analytics software gets 720 estimated monthly searches. So you can effectively target three keyword phrases all in one. In addition, you will find other related keyword phrases that you can use like the following. 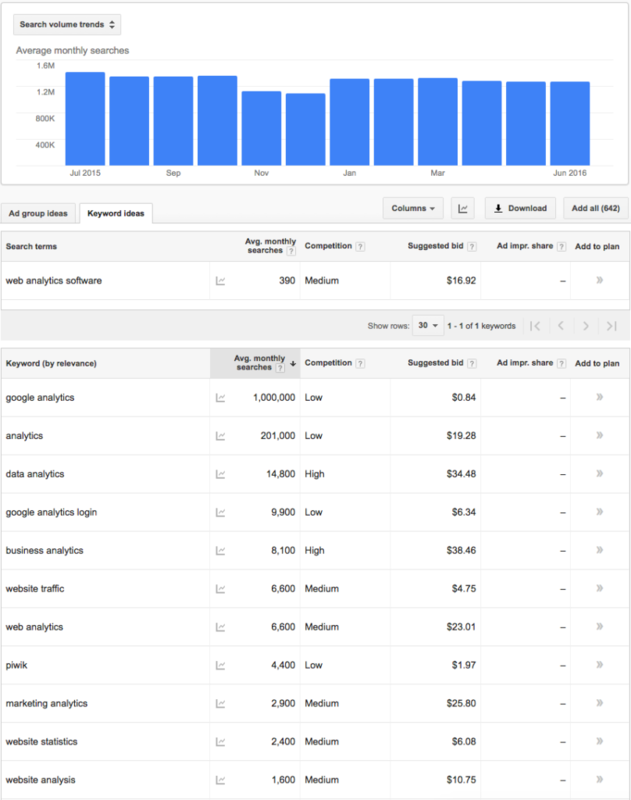 Business analytics gets 8,100 estimated monthly searches. Website traffic gets 6,600 estimated monthly searches. 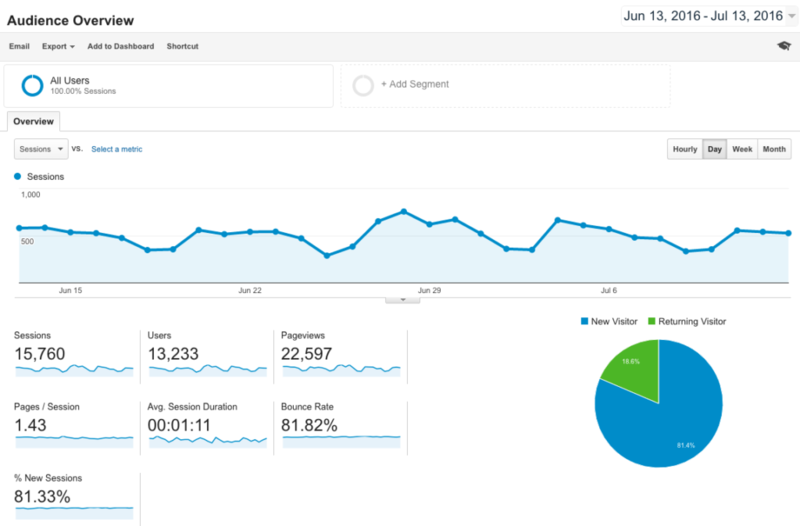 Web analytics tools gets 1,300 estimated monthly searches. From here, you will want to download the list of keywords generated, as they will come in handy when you get to content marketing. Then you can do the following. 9. Create your main website SEO title. On-site SEO is important to getting your website ranked for your target keyword phrase, and your page’s SEO title is the most important element to your page’s on-site SEO. Hence, your website’s homepage SEO title is the most important on-site SEO element for your website. 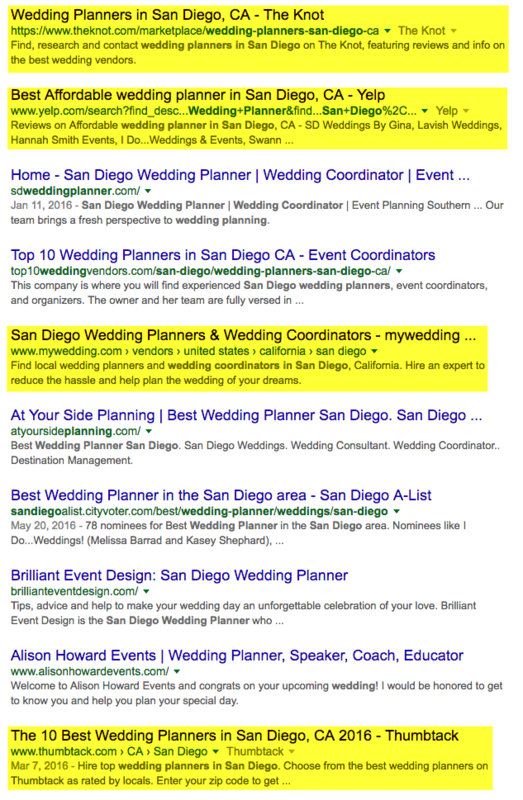 Currently, Google is showing SEO titles anywhere from 65 – 70 characters in search results. If you want to ensure that your title doesn’t get truncated, keeping it under 65 characters is a safe bet. Hence, a title like the following will ensure that you get ranked for three great keyword phrases in under 65 characters. From there, you can pepper web analytics software, web analytics, analytics software, business analytics, website traffic, and web analytics tools in your homepage content. Also, keep this SEO title strategy in mind when creating any kind of content. Blog content, videos that you upload to YouTube, etc. Any time you are presented with a title field, you should have a target keyword phrase that goes in it, whether that content is on your website or not. 10. Create your business description. Next, you’ll need a one to two sentence description of your business. This description will be used in a lot of key areas throughout your marketing: your homepage meta description, your social profile bios, your local business directory and review site bios, your guest author bios, etc. And of course, it should be optimized to use your target keyword phrases. Depending on where you use it, it will look like one of the following. For example, your meta description or Twitter bio may look like this. My company offers web analytics software that goes beyond basic website traffic stats to give you the business analytics you need to increase ROI. Whereas a guest author bio may look like this. Jane Smith is the co-founder of My Company, a web analytics tool that goes beyond basic website traffic stats to give you the business analytics you need to optimize your marketing, conversions, and sales. 11. Continue to optimize key pages on your website. From here, you will want to continue to optimize the key pages on your website. If you have a page for individual products, services, or features of your main product, you will want to research the best keywords for those pages. Then write out a great SEO title and meta description for those pages. Also be sure to optimize pages that you may not think are that valuable, like your about page, about pages for each of your main employees, contact page, etc. You never know when someone might be searching for a conversion optimization specialist, land on one of your employee’s bios, and then end up taking a look at your analytics software as a result of that search. Content comes next in the world of digital marketing because it is also vital to almost every other aspect of your digital marketing strategy. You need content to get people on to your email list and keep them engaged. You need content on your website. Otherwise, there’s nothing for search engines to crawl, index, and send search visitors to. You need content to engage your social media audience with. Or here’s another way to look at it. Look at different types of content as various parts of your conversion funnel. 12. Create lead magnets to get email subscribers or leads. 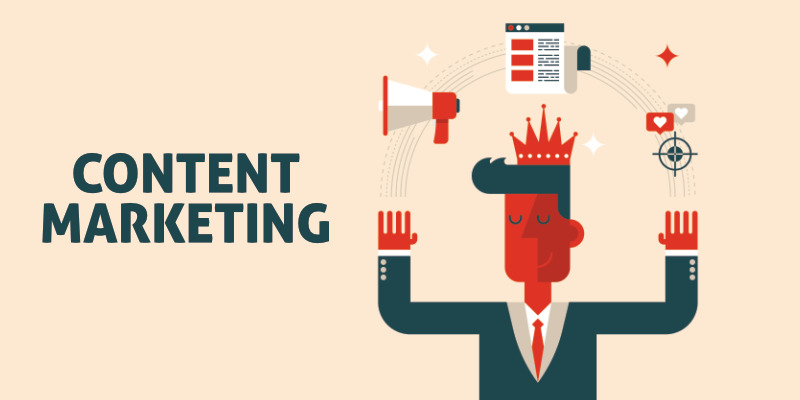 When most people think about content marketing, they instantly think about blogging. But before you start blogging and driving a ton of traffic to your website, you want to have something in place that takes advantage of that traffic surge and doesn’t let your visitors come and go with nothing to show for it. That’s where lead magnets come in. These are pieces of content that you use to entice visitors to your website to either subscribe to your email list or submit a lead form about your products or services. Here are just a few examples of lead magnets for specific industries. * A tax accountant might have a free checklist for those who are using itemized deductions for the first time this year. * A vet might have a guide to adopting a new pet. * A social media service / tool might have a free ebook on how to get the most out of Facebook. * A monthly subscription box for healthy snacks might have a free ebook on what’s really in the snacks you’re eating out of the vending machines. Lead magnets can be simple checklists, guides, reports, ebooks, white papers, templates, etc. based on the industry you are in and how much time you want to invest in creating the piece of content itself. If you already have a blog, you may want to use your analytics to find some of your most popular blog posts from the past, round up the ones on a specific theme, and compile them into a free ebook and turn that into your lead magnet. Anything goes. The key is to make it free, make it valuable and relevant to your target customer base, and make people have to give you their information (at a minimum, their first name and email address) to be able to get it. Then make sure that people know about it by placing opt-in forms that promote the lead magnet in areas like the top of the sidebar or the footer of your website. 13. Create blog posts to attract people to your website. There are two places you can create blog posts to get more people to your website: on your own website (i.e., your own blog) and other online publications (i.e., guest blogging). Blogging on your own website will allow you to create content that you can promote to your email list, optimize for search engines using specific keyword phrases, and share with your social media audience. All of these will get people to your website. Blogging on other online publications will introduce you to new audiences. The more places people see your name, the more well-recognized you and your business will become, helping you build authority in your industry. In most cases, you will also get a link back to your website in the author bio of each of your posts so you can encourage readers to visit your website. Hence, more traffic to your website. As all of this traffic starts coming to your website, they will hopefully start seeing your lead magnets and either subscribing to your email list or submitting your lead form. Advanced digital marketers will use blog posts on their own website for remarketing. For example, visitors who come to their website and read a blog post, but do not download their lead magnet, will be added to custom audiences on Facebook and see advertisements about the lead magnet to get a second chance at converting them into an email subscriber or lead. As far as topics go, keep in mind that your topics should be aimed towards your ideal customers. Also refer to the list of keywords you downloaded from the Google AdWords Keyword Planner as it will guide you to keyword phrases that your ideal customers may be searching to find related information to products and services like yours. 14. 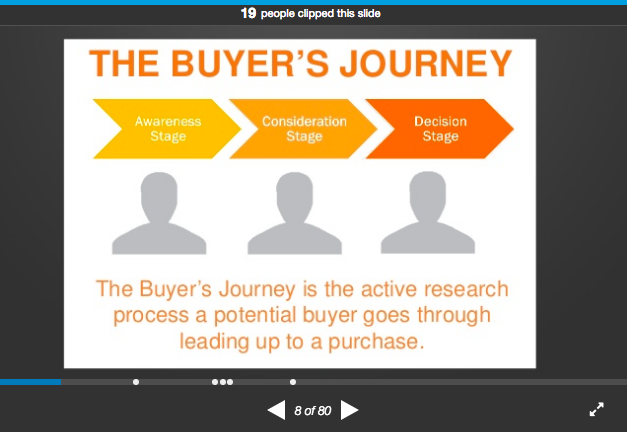 Create content for people in the later stages of the buyer’s journey. The buyer’s journey slide from HubSpot’s presentation on How to Map Content to the Buyer’s Journey. Your blog posts will attract people to your website. Your lead magnets will capture them as email subscribers or leads. But what about people who are closer to the buying stage? People who may not need to read your blog post or get introductory lead magnets. The ones that know what they want and just need to narrow it down between you and your competitors? When you get people at this stage on your website, you will want to have case studies that show how your products or services have helped customers like them. You will want to have demos that show how your product works. You will want to have white papers that show data that would convince your customers why they need your products and services. You will want to have comparison pages that show your product or service beat the competition. While you don’t have to have all of those things, it never hurts to have a little variety of content that helps tip people who might be ready to buy from your business over the edge and make that final decision. 15. Create a lot of content with variety. Don’t get stuck in the trap of thinking that all content needs to be text. The more types of content you can create, the better. Think about creating visual content using great photography, image quotes, custom blog post images, etc. You don’t have to be a great photographer or designer – stock photography sites and simple tools like Canva can get the job done quickly. Also, think about creating more video, as video is becoming huge. While live video seems to be the trend, you don’t have to start there unless you want to. You can start with something simple, like talking over a stock video. You can use online tools or hire someone to create an animated video for your product or service. You can create screen recordings and webinars. You can use a variety of networks (Google Hangouts, Blab, Huzza, etc.) to video record discussions, interviews, and roundtables with multiple people at a time. Once you start creating video, be sure to distribute it everywhere. You can upload it directly to YouTube and Facebook. You can embed your YouTube or Facebook video on your website. Depending on the length, you can share it on Instagram. Then you can spread it out to other video sites like Vimeo. Depending on how much variety you want to create, you can also branch out into presentations distributed on Slideshare, podcasts on iTunes, and much more. It doesn’t all have to be on new topics, but rather take your best topics from content you have already created and repurpose it into new formats. You may be wondering, as a small business owner, why you need an email list if you already have fans on Facebook or lots of daily visitors to your website. The answers are simple. You don’t own your fans on any social network, including Facebook. And you can’t guarantee that your traffic from any source will continue to be sustainable. But one thing you can own is your email list. And assuming you keep your email subscribers happy, you can keep bringing them back to your website through your email content. So here’s what you need for a great email marketing strategy. 16. How to choose a good email marketing service. First, you will need a good email marketing service. There are lots to choose from, and your choice will ultimately depend on your budget and the features you want to have. If you just want to send out a few newsletters a month, and you don’t foresee yourself having a huge email list, starting with services like MailChimp, which is free up to 2,000 subscribers, is a great place to start. Their service integrates with just about everything out there, so if you are already using a shopping cart platform like Shopify or CMS like WordPress, you’ll find ways to connect them all. Of course, there’s also similar services like GetResponse, Aweber, iContact, Constant Contact, ActiveCampaign, and many, many others. And there are more advanced and expensive services that take you beyond email marketing into full-blown marketing automation like HubSpot and InfusionSoft. Most offer a free trial or demo, so be sure to compare them all to determine which is best for your business now. You don’t want to overspend or not have room to grow. 17. How to build your email list. As mentioned in the content marketing section (#8), you can create lead magnets to help you grow your email list. If you don’t have time for that just yet, you can simply use your email marketing service’s opt-in form code to add forms on your website so that visitors can subscribe to your email list. You can add them in a variety of places such as your website’s sidebar and footer. You can invest in third-party tools (depending on your website platform) that offer even more ways to build your list. These tools include slide-in forms, header bar forms, popup forms, exit-intent forms (forms that pop up when someone is leaving your site), and squeeze pages (web pages dedicated to getting someone to subscribe to your email list). This is another area where testing comes into play. Test different types of opt-in forms to see which ones get you the most subscribers without hurting visitor retention. In other words, when you apply opt-in forms like a popup, don’t just look to see if you are getting more subscribers. Check your Google Analytics to make sure that visitors aren’t leaving your site more because of the popup. You can also expand into social media advertising options that allow you to grow your email list directly from their networks like Facebook’s Lead Generation Form or Twitter’s Lead Generation Cards. 18. How to engage your email list from the start. Most email marketing services allow you to setup an email is known as an autoresponder. This is an email that goes out to your subscribers as soon as they have confirmed that they want to be on your list. You should always have at least one autoresponder that goes out immediately that welcomes your new email subscriber to your email list. If you offered a lead magnet to get them to subscribe, that’s the email that should deliver the lead magnet as well. This email should also thank them for subscribing and let them know what to expect next. If you decide to create an autoresponder series, or a series of welcome emails to introduce new subscribers to your business (preferably using those target keyword phrases we discussed earlier), let them know that in the next couple of days, they will receive a specific number of emails from you and what they will contain. This should get your new subscriber excited about your business straight from the start. 19. How to keep your email list engaged. After the welcome email or welcome email series, you should plan to email your subscribers at least once a week. You can email them to let them know you’ve created new content. You can email them about new promotions. You can email them to tell them a fun story that somehow relates to your business or your industry. You can email them to ask them a question. The key is to keep in communication with your email list and occasionally ask them to reply to you. And when your subscribers reply to you, reply back. It’s a great way to show spam filters that your emails are not only good, but that your email subscribers enjoy them. It will make it more likely that your email subscribers get your emails in their inbox instead of their spam box. 20. How to keep your list clean. No matter how well you do your email marketing, you will eventually hit a point where some of your subscribers stop opening your emails. They may have lost interest. They may have simply created a new email address and not resubscribed. Or your emails may have started going to a folder they don’t check. In any case, if you have subscribers that haven’t opened your emails in six months or more, and you have been consistently emailing at least weekly, then it’s time to get them off of your email list. 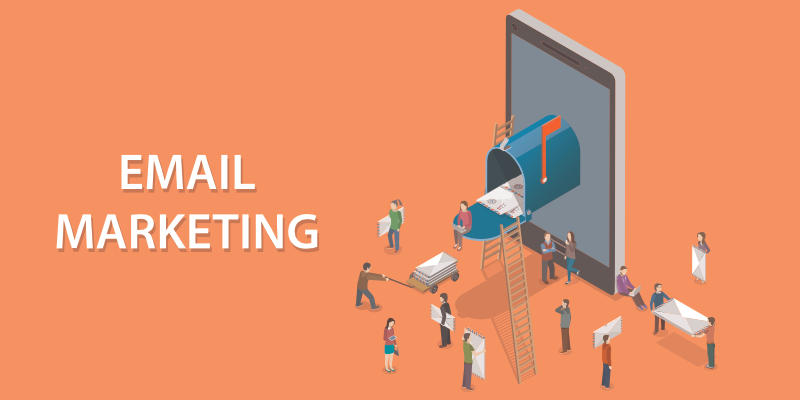 Depending on the email marketing service you chose, you may be able to segment the subscribers who haven’t opened an email in six months and send an email specifically to them, asking if they are still interested in receiving their emails. That will either get their attention or confirm that you should remove them from your list. This does two things. It prevents you from paying for subscribers who are no longer interested in your emails, and it increases your open rate percentage. The latter looks great to spam filters that like to see email lists with high response rates. Why is social media marketing this far down on the strategies list? It’s not that it’s not as important as the other things we’ve already discussed, but rather you need to know and have the other things mentioned above in place before you begin your social media strategy. 21. Create your basic social profiles and pages if you haven’t already. There are hundreds of social networks out there, so it would be impossible to join them all, let alone maintain a solid presence on them all. Therefore, your goal should be to make sure you are on the social networks that count for your business. For most, those networks are going to be Facebook, Twitter, LinkedIn, Instagram, Pinterest, YouTube, and Google+. Depending on the size of your business and the amount of resources you can dedicate to your social media presence, you may want to consider claiming your business on these networks and focusing your efforts on one or two at first, then expanding to the others, or hiring someone to manage your social accounts. 22. Start updating your basic social profiles and pages. To help build your social media audiences and keep them engaged, you are going to have to post to your social media profiles and pages regularly. Audiences generally like to see a variety of posts that don’t just promote your company, but also informs them about your industry and general things they might be interested in or amused by. Once you’ve posted some updates to your profiles and pages, you can then start promoting them to build your followers and fans. You can do this by posting social profile and page buttons on your website, adding links to your email newsletter and email signature, and cross promoting one social network your other social network audience. I.e., if you already have a large Twitter following, let them know that you just created a new Instagram account. 23. Engage with your audiences. Social media isn’t meant to be a broadcast channel, but rather an engagement network. Be sure to not only post updates to your social profiles and pages, but to also engage with your followers and fans by replying to their comments on your posts. The more you reply, the more they will be encouraged to comment on your future posts. This is especially helpful on networks like Facebook where engagement can help boost your visibility in the news feed. 24. Join groups where your ideal customers are engaged. Using your personal profile, join groups on Facebook and LinkedIn where your ideal customers are actively engaged in discussions. The goal isn’t to try to directly sell them your products and services. unless someone specificially asks for a recommendation for something your business have to offer. The goal in groups is to become a recognized authority on a specific topic. For example, if you own a car repair business, and you are in a local group and answer any questions people have about their cars, they will eventually come to know you as an expert on cars and when they have a problem they can’t fix, they’ll ask you about your business. 25. Invest in social media advertising. 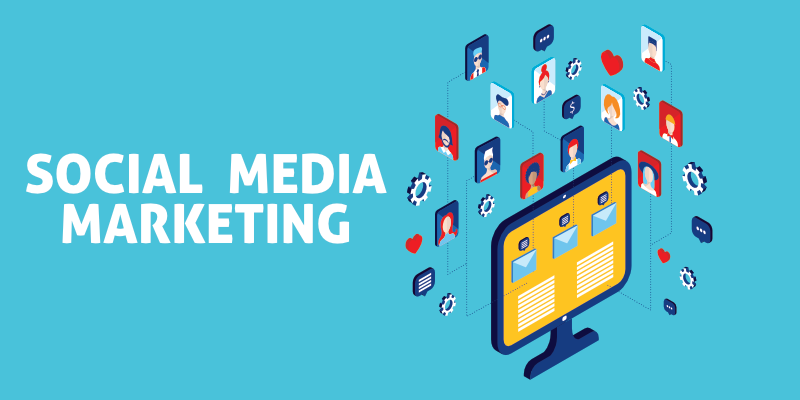 When you have an important promotion or sale that you want to get the word out on, or you want to drum up some leads for your business, try social media advertising. Facebook has the highest potential to reach most of your ideal customers because they have the most targeting options beyond general demographics. They also allow you to advertise to your website visitors, people on your email list, and people in your customer database via custom audiences. Twitter and LinkedIn also offer advertising, although their systems are not quite as advanced as Facebook’s. But all three will ensure that your message reaches the right audiences at the right time in the news feed, more so than an organic post off of your profiles and pages. Some people might consider this link building. I prefer to call this outreach, simply because if you think of it as outreach, you’re not likely to get into the territory of bad link building practices. 26. Look for web pages where your business, products, or services would be a valuable addition. There are lots of ways to find web pages where a link to your business, products, or services would be a valuable addition. A lot can be found through search. For example, if you have a specific kind of online service, you can probably find tons of blog posts that are compilation lists of similar kinds of online services, such as 50+ Email Marketing Services for Small Businesses. It never hurts to reach out to the writer or the site the post is published upon to see if you can get your service added to the post. The key to making it work is to make it easy. Look at how others are listed on the page and send your name, link, description, photo (if applicable) and any other details that would make it easy for the author or site to update the post. The less work they have to do, the more inclined they would be to do it. Also, set up a Google Alert for your business name, product names, and service names. If anyone mentions you online, but doesn’t link to you, email them and ask them to add a link to your business website, product landing page, or service landing page so that their audience can easily find them. Make it sound like it’s to benefit the reader, not you, and you’ll likely get that link. 27. Look for web pages where your content would be a valuable addition. 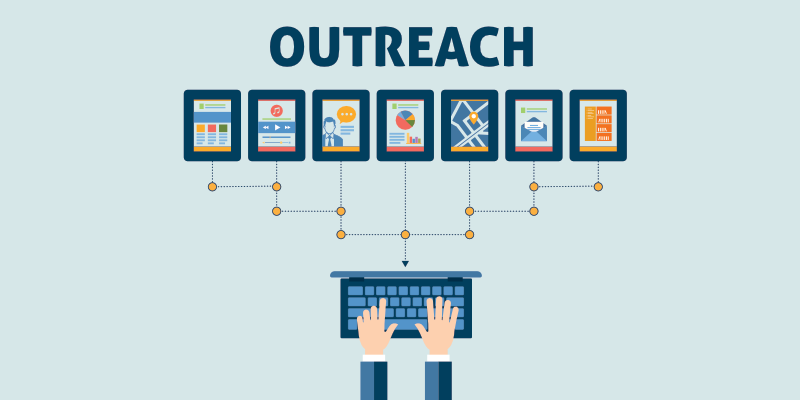 Another approach at outreach is to promote your content instead of your main website, products, or services. In this case, you just find people who like to link to content similar to yours and let them know that you have an updated or more complete version of a particular post that they have linked to that you think their audience would like. You can also set up a Google Alert for the target keyword phrase of your top pieces of content and watch for mentions or questions that your content could either link to or answer. Those could provide for excellent linking opportunities for your content that could benefit others as well. Last, but not least, if you have a local business, then you have a lot of additional digital marketing opportunities to capitalize on. It’s not the least important of digital marketing strategies, but if you have your website, some great content, and your social profiles set up already, it will be much easier to get your local listings in order. 28. Get your local business listed. 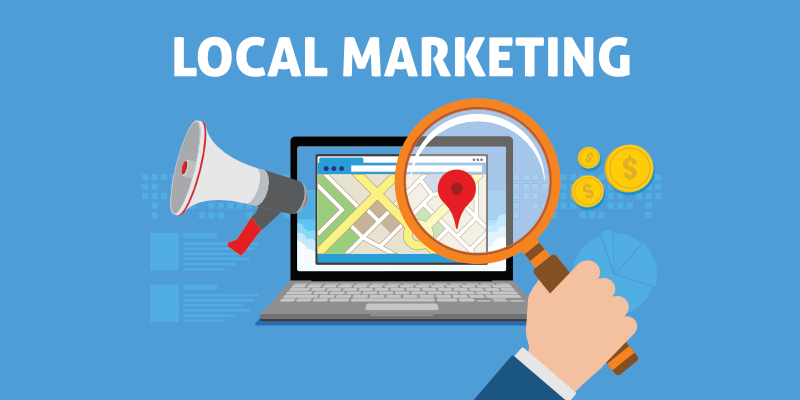 As mentioned earlier, in #5 on how to optimize your local marketing for conversions, you will want to aim for local business directories and review networks where your ideal customers are most likely to be looking for businesses like yours. If you are a wedding vendor, for example, that would include both paid advertising and free networks like TheKnot, WeddingWire, ThumbTack, Yelp, and many others. Sometimes it will depend on the type of vendor you are, and sometimes it will depend on your location, so be sure to research your specific keywords and location to determine which directories are most important to your business. While there are services that will fill out your basic profile information for you, it’s best to find and claim or create your listings yourself. This allows you to make sure your listings are fully customized and completed. Since you will want your listings to be consistent, you may want to create a document as you fill out your first business listing so that you have the same information for the next listing you fill out. You will also want to keep a folder with your main photos and videos handy in case your listings allow you to add photo and video. 29. Pay for advertising for certain listings. 30. Get reviews the right way. Most local business directories and review networks have strict policies on how you can and can’t solicit reviews from customers. In most cases, you can’t offer incentives in exchange for reviews. But you can let your customers know that you are on particular local business directories and review networks and that they can review you there. Local businesses do this in a number of ways. Some will put up signage that says customers can review them on specific local business directories and review networks. Some will incentivize the check-in on specific local business directories and review networks, hoping that if a person checked in, they will later review. Some will send an email to the customer after they made a purchase or received a service, letting them know they can leave a review on specific local business directories and review networks, linking to each. The idea is not to be caught incentivizing reviews, buying reviews, or in any way trying to get only positive reviews. If you do so, you could get a red flag on your local business directory or review network listing. 31. Respond to your reviews. It’s important to manage your online reputation, and that means responding to your reviews, both good and bad. It’s easy to thank someone for a good review, but it’s tough to hold back that initial reaction when you see a bad review. If you do get a bad review, you have a couple of options. First off, see if the review violates any of the local business directory and review network’s community policies or terms of service. For example, is there a lot of cursing, an implied threat, or an obvious comment from a competitor? Those kinds of reviews might be removed from the directory or network itself. If that’s not the case, put on your best customer service smile and pretend like you handling the situation like you would in front of other customers. Demonstrate your best customer service skills – apologize and try to make the issue right. Even if you know you can’t fix the situation, or you know it wasn’t business’s fault, it’s important to show future customers who come to your page that you tried to resolve the issue. Boost your small business with your own app. Check out our list of app trends to inspire you to build your own.